Sometimes I get really excited about a new meal, and this is one of those times. I cannot take credit for this, as I got this recipe from Gwenith Palttow’s new cookbook. The first time I made it I really liked it, but then I made it a second time with some changes and LOVED it. Tate actually called it “delish!” and I don’t even know where he got that word from, but whatever. I’m just happy the kid liked it! In a large bowl, mix all (except for the coconut oil) of the ingredients together. 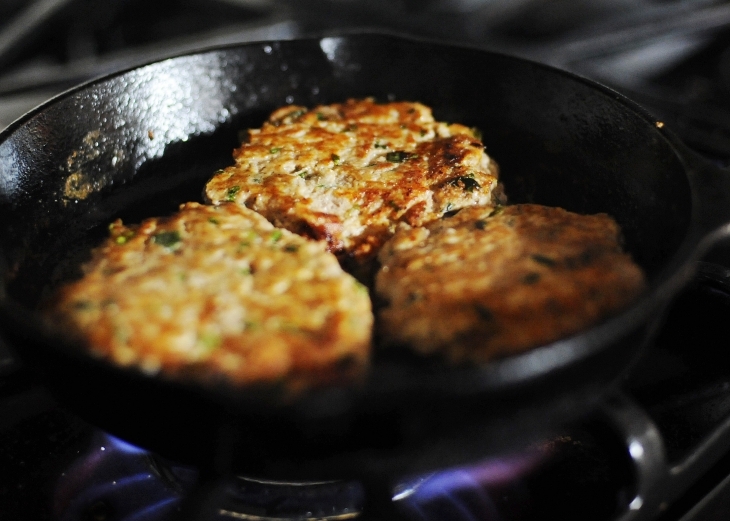 Next turn your skillet pan on high, add 1-2 tbsp of coconut oil and fry each side of your burger until it’s a nice golden brown. Then turn your stove to low, cook for another 5-10 more minutes on low until the burger is no longer pink in the middle. Be sure not to overcook as it will continue to cook just a bit once you turn the stove off. Enjoy! 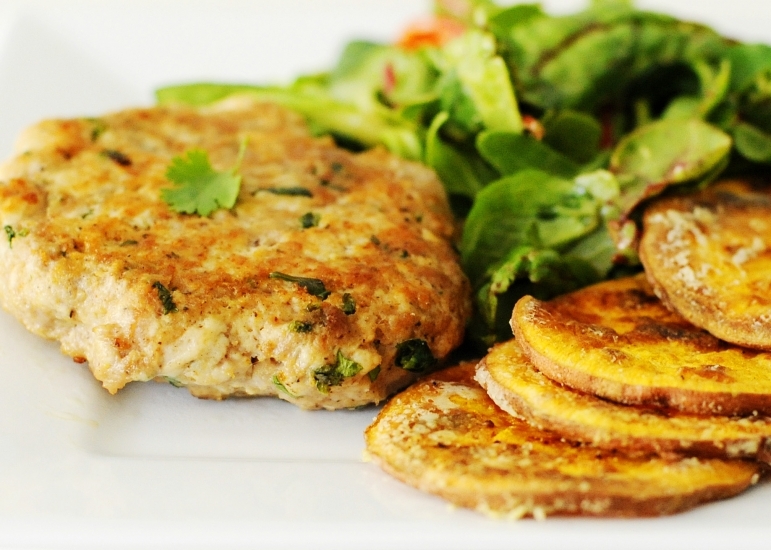 These make awesome leftovers and are also great on salads. 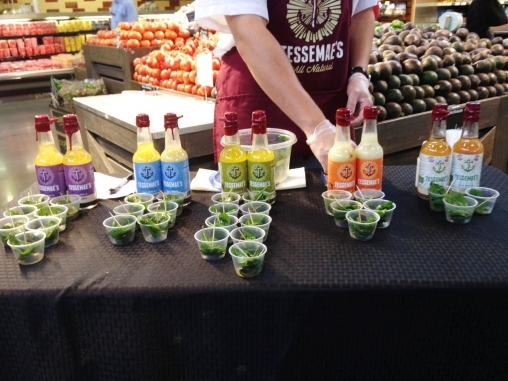 Oh and speaking of salads, our new favorite love, Tessamae’s, had a sampling at Whole Foods the other day. 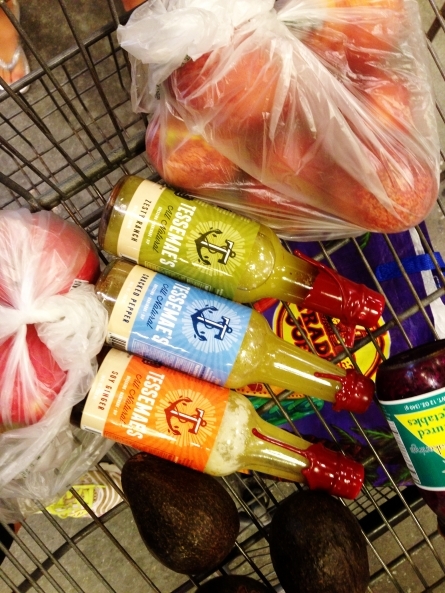 We discovered that we loved most of their dressings and not just the Balsamic. Still can’t wait to try some of the others down the road. Happy weekend everyone!! Mani @ A New Life Wandering - I am making these tomorrow.